The Govt of Pakistan because of the Security reasons has decided to re-verify the Sims Registration of all Mobile Phone Network Provider Companies. 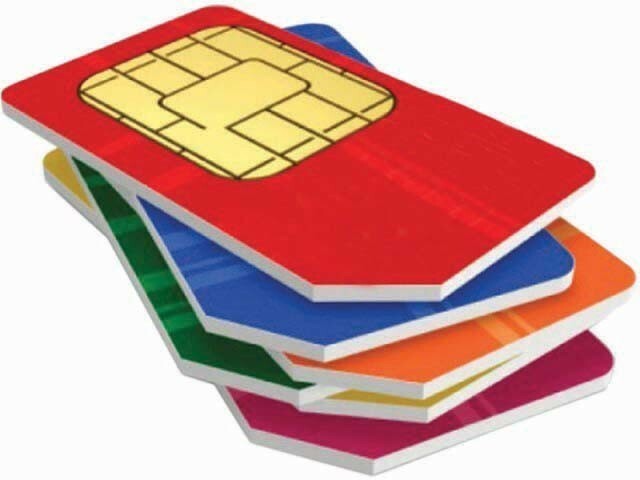 The Govt sent the notice to all mobile phone network provider companies that they should again re-verify the all companies sims all of their Users. This Notifications has been implement from 12th January 2019 If any user will not re-verify their all sims then all of their sims will be blocked by the PTA Order. Re-verifying 1st step is started from 12th January 2019 for the various cities like Karachi, Peshawar, Dera Ismail Khan Dera Ghazi Khan FATA and Balochistan. The Sims Registration allow on a single CNIC Card will be three Sims Other sims will be blocked. The Re-verifying Step two will be started from 27th February 2019. So we are Advising the Mobile Phone Users that they should re-verify their all sims with the BIO Matric System. Our Govt has arrange the BIO Matric Service for our security issues and point of views. If any one will not re-verify his/her sims their all sims will be block and in the case of any policy violation Pakistan Telecommunication Authority PTA will take strictly actions against them, So then you will be responsible for that. Because govt has informed you before and warned you about it So please don’t make any violation against the Policies. The Customers who are out of Country and they are using the Pakistani Mobile Network Un-registered Sims we are Informing them that if they will come in the country before the due dates then they should re-verify their sims and block them otherwise PTA will block their sims automatically. When the PTA or Govt will announce any other policy then we will provide you here on this page So you should stay with us here on this page if you have any query so you must comment us in comment section we will get you soon and will resolve your queries.